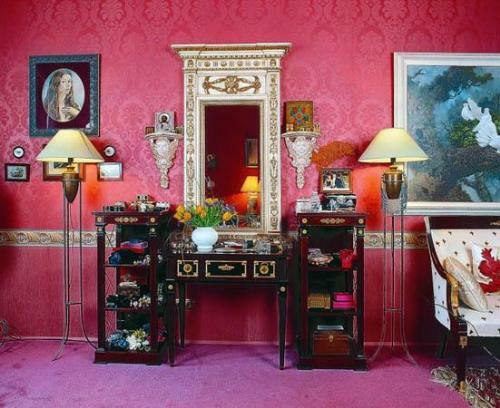 A dressing table is an essential article of furniture in bedroom. This table has a mirror used to adorn and observe self performances. 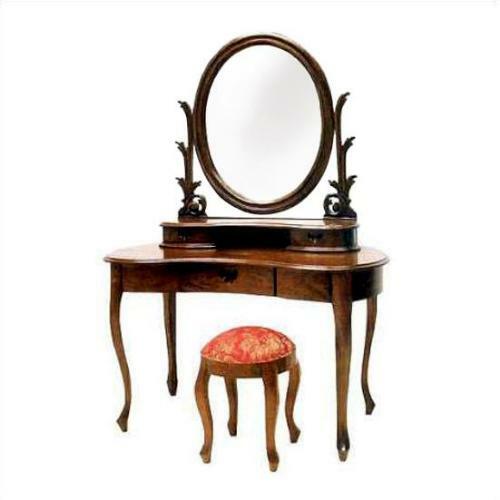 A well designed dressing table reduces clutter from the room and is also used for extra storage. A dresser gives stylish and new look to your bedroom. 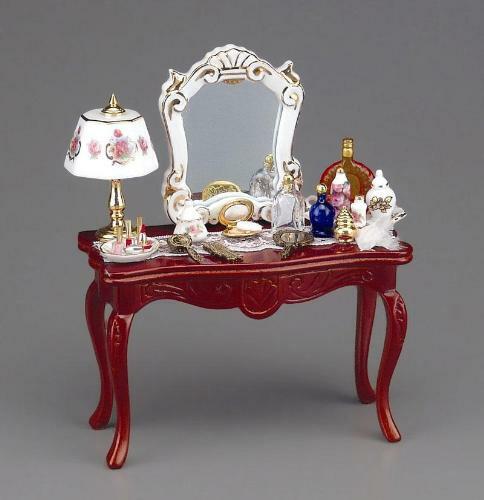 Dressing tables come in a variety of designs and styles. You can choose any that best suits your fancy and style in bedroom. 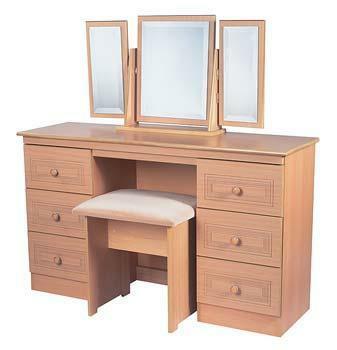 Here are some dressing tables for your choice. It is strong, durable and is made from finest pieces of pine. It comes in different shapes and sizes. It has beautiful drawers, mirrors and pine handles to pull drawers. It adds to the warmth of your bedroom. It is made from fine quality of teak wood and is available in multicolor. It’s fine example of carved craftsmanship on wood. It has beautiful mirrors and drawers. The tableprovides durability and sturdy structure and enhances the look of your bedroom. This table is lustrous, elegant and fashionable. It has a beautiful drawer and a pull- handle for each drawer. This dresser adds classy look to the bedroom. This little black table can be suitable for those who don’t have a lot of extra space to fit a dressing table into their bedrooms. This table is available in a light oak finish also. This table has two drawers and a mirror. The drawers are lustrous and fashionable. 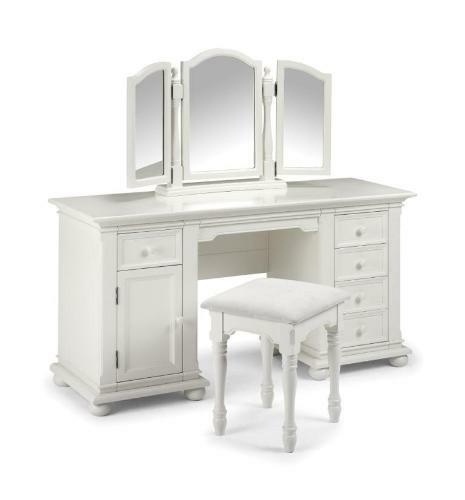 Loop leg dressing table made from birch and hand-distressed ivory finish adds a little French romance to your bedroom. This dressing table has six drawers and each drawer has a round knob to pull drawer. This comes in different shapes, styles and adds to the warmth of your bedroom. This dresser has eight drawers and a mirror.It is wood framed dresser and has metal handles to pull drawers. It has attractive mirror and antique white finish. It is made of solid hard wood and is a hand carved dresser. This table has nine drawers and two doors for storage.